The Jordan Brand's Year of the Dragon celebration is far from over, as Chris Paul's latest signature shoe is next in line to mark the occasion. The Jordan Brand's Year of the Dragon celebration is far from over, as Chris Paul's latest signature shoe is next in line to mark the occasion. 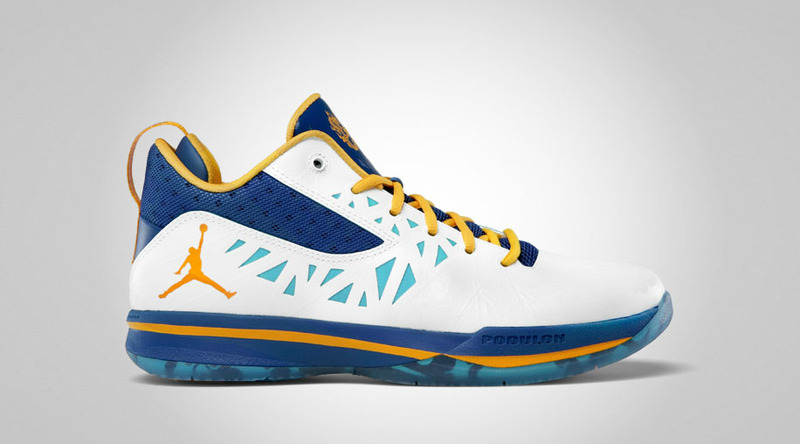 Using a scheme similar to that of the Air Jordan 2012 Deluxe that dropped back in February, the YOTD CP3.V features a white synthetic base, with Tidepool peering through the geometric cutouts along the side panels. Storm Blue takes care of the tongue, mesh-constructed paneling that wraps around the heel and midsole, while University Gold works the laces, tongue branding, pull-tab, inner lining, Jumpman branding and midsole stripe. 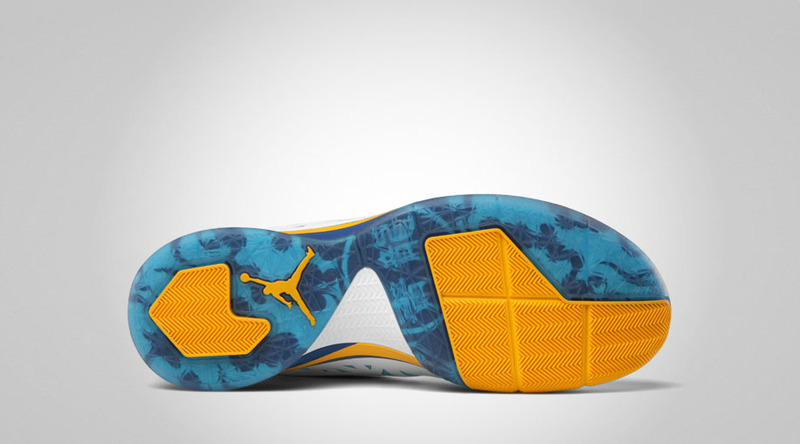 Partially translucent rubber on the outsole reveals YOTD graphics. 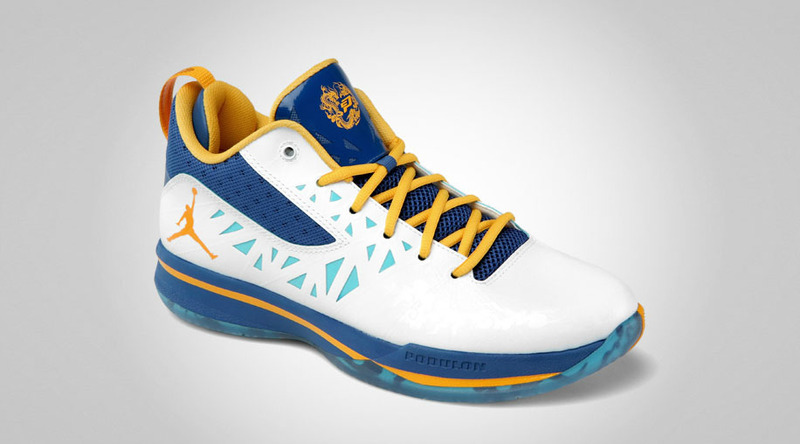 Look for the "Year of the Dragon" CP3.V to hit Jordan retail accounts on Thursday, June 7. Retail will be $120.